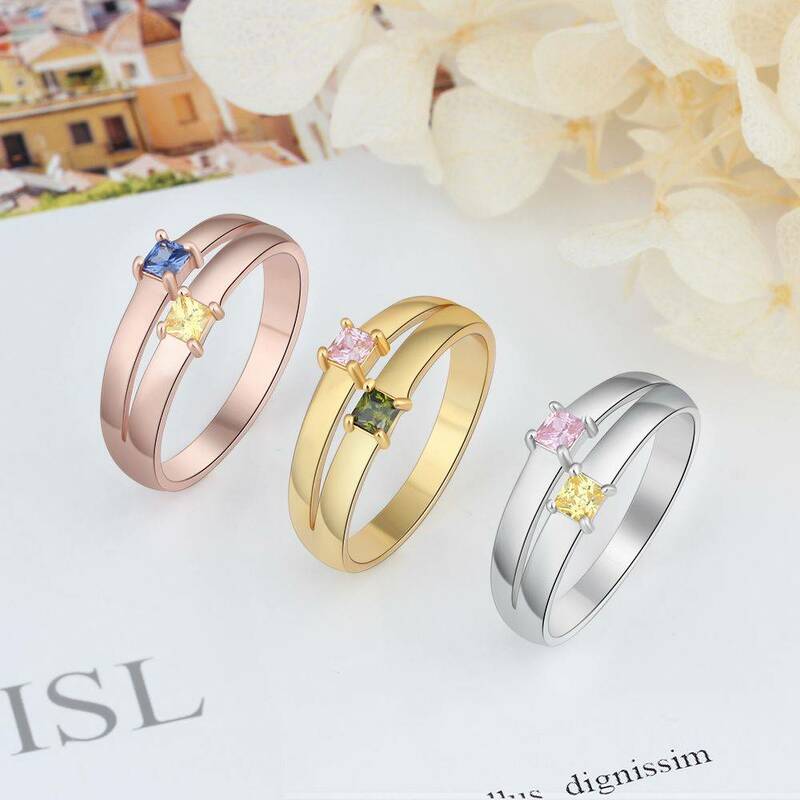 Silver ring with two heart-shaped birthstones and second names of your children. How beautiful to wear as you near your children. The names in the silver lasered, then we make it black for a nice contrast. 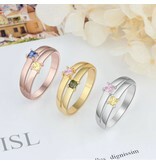 ♥ The ring is made of by-and-by sterling silver covered with a layer of real gold rose. 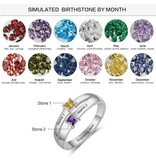 ♥ Choose the stone matches the month of birth of your child. ♥ The first letter is capitalized, the other lowercase. 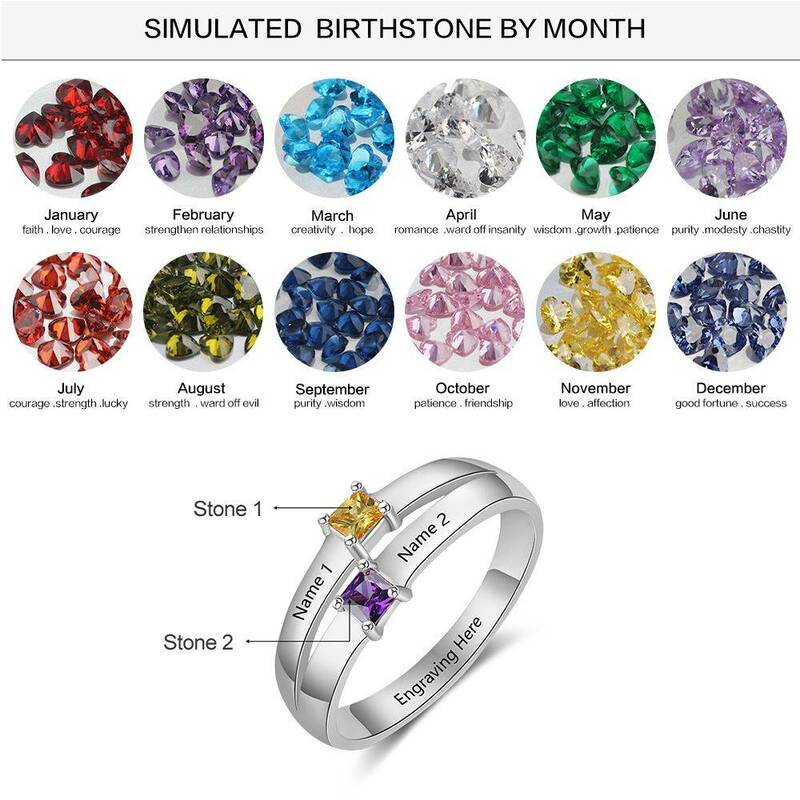 ♥ The stones are approximately 4 mm. ♥ There is room for 20 characters inside the ring. ♥ Handmade by a highly skilled engraver (supplier of many jewelers). ♥ Packed in a pink sieradenbuideltje, as ready for gift giving. 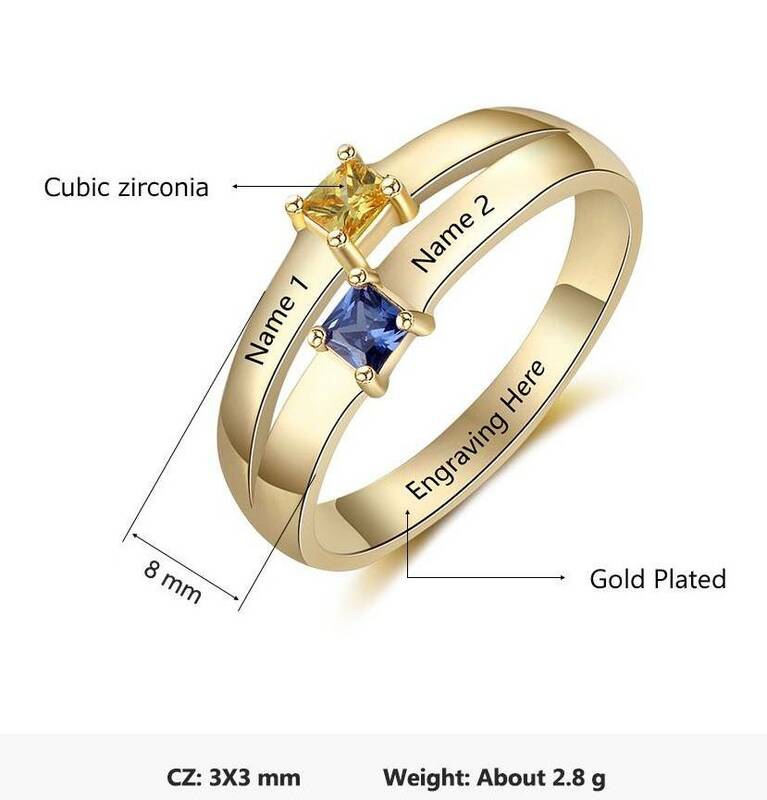 ♥ For the measurement of: measuring a well-fitting ring on by the diameter in meters. If you just sit in between sizes or doubt about two sizes, then our advice is to choose the larger size. 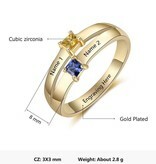 The ring we do so for you can not be adjusted in size.